"It's so good to see a mare of her quality come back like she has," trainer James Cummings said. "She has had a faultless campaign and she is a serious mare. The Futurity Stakes in Melbourne looks like a great race for her. "We have great expectations for her." "She was a pleasure to ride. It was really nothing more than a track gallop for her out there." "I barely even moved on her. I tried to look after her the best I could in the ground." "She is a beautiful filly with the advantage of a preparation under her belt," Cummings said. "Things didn't go quite to plan in the Gimcrack. She got knocked over at the start and was left with a lot to do. "She was left with a lot left to do again today but with more strength on her side, she savaged the line and is an exciting filly. "While she is still doing a few things wrong she can keep improving and be a little more switched on when the races get harder. 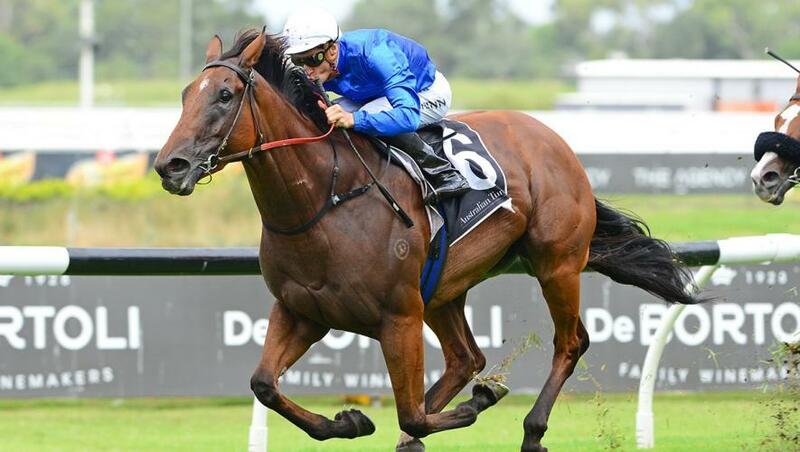 "She definitely gives the impression that once she steps up to six furlongs (1200m) she will be more tractable. A race like the Sweet Embrace would be suitable."